Chouk Bwa means Root in Haitian Creole and displays the deep African heritage of Haïti, torn from Africa and secretly re-planted in a new land. 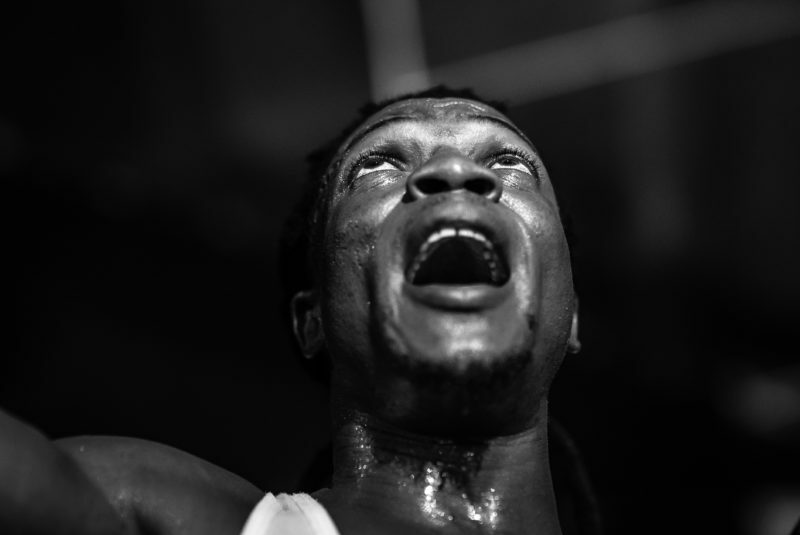 At Eastern Daze V they will perform with two percussionists and two dancers are led by composer Jean Claude ‘Sambaton’ Dorvil on vocals and the fer, an iron bar/bell that calls the spirits through ticking rhythms, assisted by Gomez ‘Djopipi’ Henris. The band is made up of female dancers Edèle Joseph, and Maloune Prévaly (vocals) and male percussionists Jean Rigaud Aimable (drums, vocals) and Sadrack Merzier (drums, cornet, vocals). In Haïti the drummers are unanimously recognized as master drummers in the Gonaïves’ vodou communities of Lakous Badjo, Souvenance and Soukri. 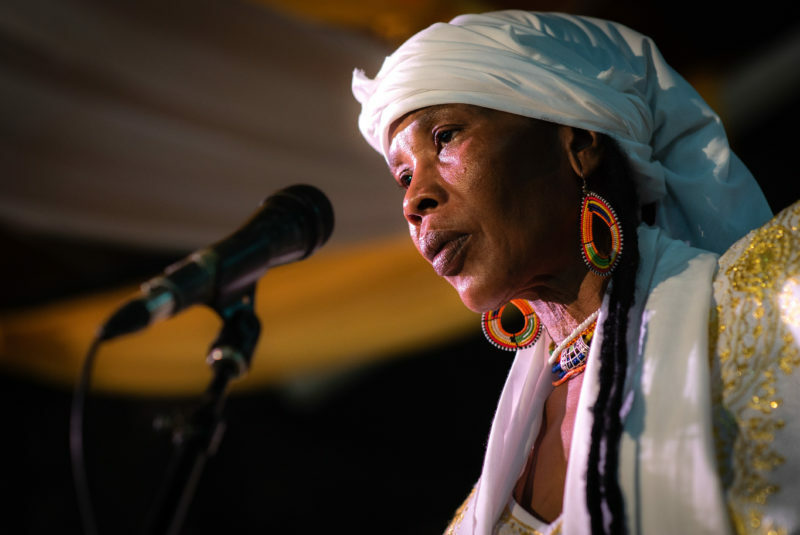 Their knowledge of the pantheon of vodou rhythms is encyclopedic, as Chouk Bwa’s debut album Se Nou Ki La (2016) demonstrated. 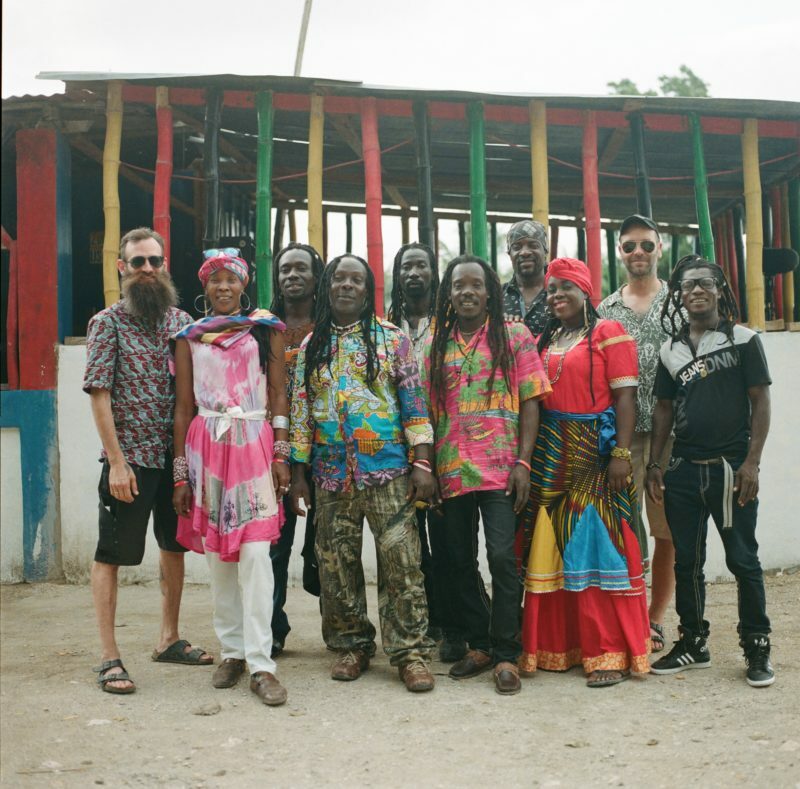 The band members speak for Haïti, a nation that has seen the hardest of times and maintains a relentless spirit and strength through its culture. Vodou culture is very lively in Haiti, especially in the rural areas, although Christians often depict vodou as satanic. One consequence is that people do not easily see the richness of this music. The American director, ethnomusicologist and priestess Maya Deren did a lot to change these views since the 1950’s with her book (1951) and movie (1978) Divine Horsemen: The Living Gods of Haiti. 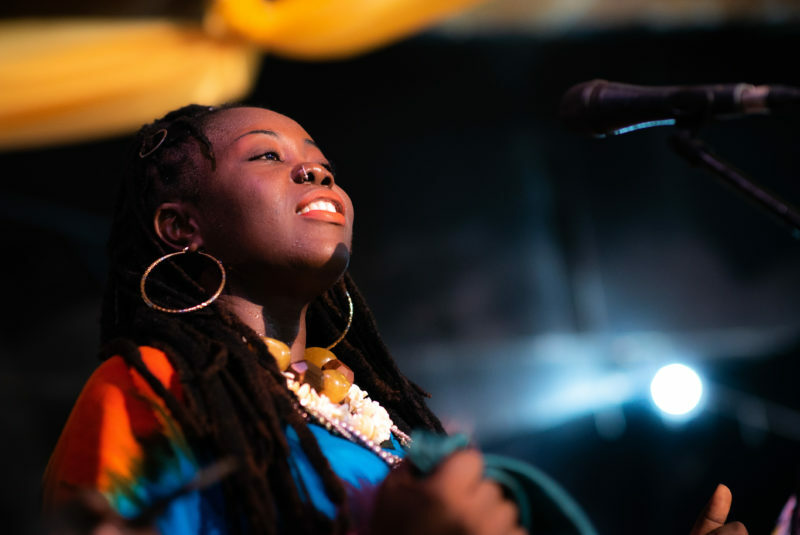 Chouk Bwa brings counter-culture songs to invoke healing, expose injustice, celebrate the liberation of Haitian people from colonial rule and remind listeners of present day oppressions and hardships all too close at hand. They do not misrepresent vodou culture as an exotic ethnic novelty, but to enunciate their project as a band. They want it known that vodou is a glorious religion and culture and the manifestation of it is beautiful in itself. The Chouk Bwa drummers firmly believe that the drums are the media for the spirits. By playing they call the spirits (the LWA of Loa dieties) to come into the dancer’s body. It is impossible to play the drum without this spirituality. For vodou musicians, music is part of the spiritual process of the ceremony and it seems strange to change its context to bring it on stages. A bit of background about the importance of the kongo ritual within Chouk Bwa, which is said to be root of modern day jazz. The Kongo kingdom was a very important political entity in West Africa when Europeans started their trade with Africa before they turned to slavery and colonialism. Some of the slaves sent to America and colony of Saint Domingue came from this kingdom. Today the kongo cult ritual is still one of the families of vodou and one of the main kongo places is close to Gonaïves. The ceremony has some specific characteristics: only two drums are used, played in an improvised way and people wear colorful clothes. Chouk Bwa considers kongo as one of the wildest rites. 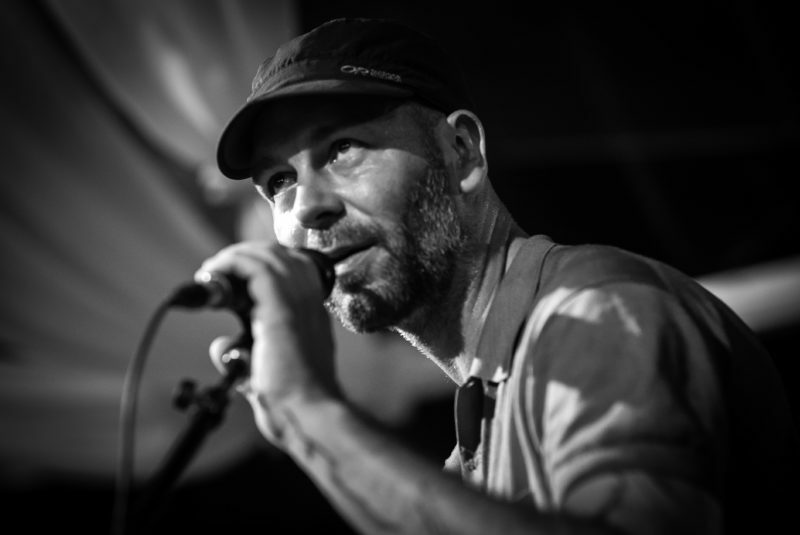 The first album Se Nou Ki La was almost ethnomusicological with a deep poetic input, recorded in the drum maker’s village with just two microphones. Old style. Ready for a spiritual bodily experience with Chouk Bwa?